Have you heard? 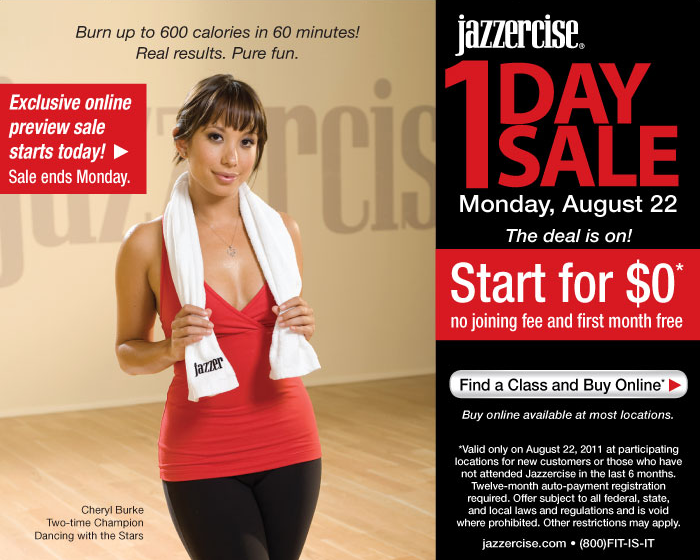 Jazzercise is having a One Day Sale -- EXCELLENT deal. I will be teaching the 5:40 PM Class on Monday @ the Aurora Jazzercise Center. Come join me and sign up...you won't regret it. Jazzercise has been amazing for me...helped me loose 9 inches off of my waist! And I have muscle tone now. YAY!